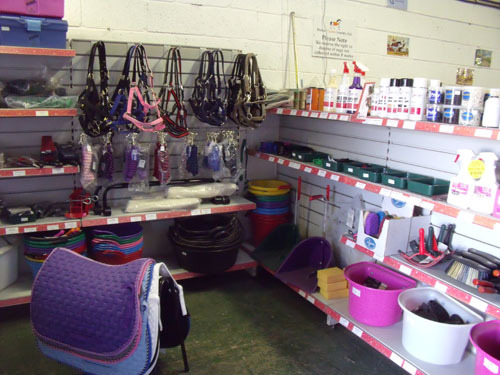 Malton Equine Laundry is a well-established and reputable business, that was originally founded in 2007. The current owner, Soulla Clarkson took over in June 2010. 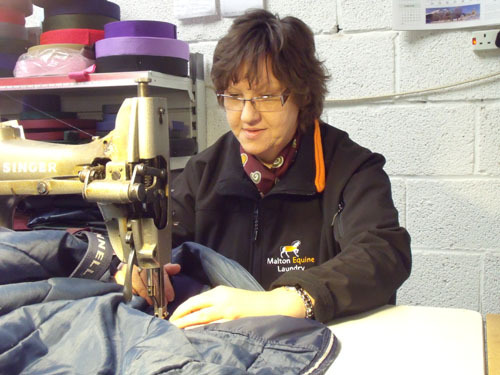 Soulla has 20+ equestrian experience and a First Class Honours degree in Equine Studies. She is a horse-owner herself, competing at affiliated British Dressage competitions, as well as riding club/ unaffiliated show-jumping and eventing. The business is based in the heart of Ryedale district at Showfield Lane, Malton, North Yorkshire. We are happy to deal with private individuals or work with yard owners or managers to organise a service for the whole yard. Equestrian businesses such as racing yards, riding schools and studs benefit not only from the convenience of our service but also the professional image that our service offers. Our friendly and knowledgeable staff are happy to advise you on all aspects of rug cleaning, care and fitting. They are all experienced, so you can rest assured that your rugs are in good hands. We can save you time by checking your rugs over for repairs. We are happy to do this for free, leaving you more time to spend with your horse. All you need to do is ask! We even sell rugs! We have a selection of rugs available in our shop. We are stockists of Coolex, Mark Todd, JHL, Funnell, Fal Pro, Loveson and Pessoa. If we don't have what you are looking for, we are happy to order something in for you.